Submerged - Prato Erboso S.r.l. 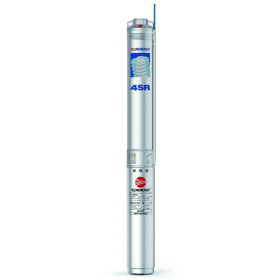 Pumps and submersible motors from 3 to 5 inches. 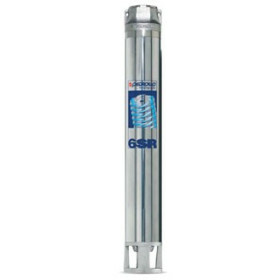 For vertical installations, and horizontal wells and cisterns. TECHNOLOGY “UPSIDE-DOWN” FOR THE NEW UPS THAT NEVER GET STUCK! Flow rate up to 30 l/min (1.8 m3/h). Prevalence of up to 77 metres. Motor 0.37 Kw (0.50 HP). 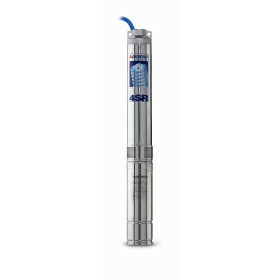 Flow rate up to 1000 l/min (60 m3/h). Prevalence of up to 47 metres. WITHOUT A MOTOR. Flow rates up to 340 l/min (20.4 m3/h). Head up to 43 metres. Motor 1.5 Kw (2 HP). Flow rates up to 340 l/min (20.4 m3/h). Head up to 32 meters. Motor 1.1 Kw (1.5 HP). Flow rate up to 300 l/min (18 m3/h). Head up to 183 m. Motor 5.5 Kw (7.5 HP). Flow rate up to 1000 l/min (60 m3/h). Head up to 244 meters. WITHOUT A MOTOR. Flow rate up to 1000 l/min (60 m3/h). Head up to 186 metres. WITHOUT A MOTOR. Flow rate up to 1000 l/min (60 m3/h). Head up to 151 metres. WITHOUT A MOTOR. Flow rate up to 1000 l/min (60 m3/h). Head up to 128 ft. WITHOUT A MOTOR. Flow rate up to 1000 l/min (60 m3/h). Head up to 105 metres. WITHOUT A MOTOR.